As alluded to in the above tweet, there is a genuine question as to whether the outrage (media or otherwise) aimed at Dotcom is hypocritical given the silence on Peter Jackson’s (alleged?) ownership of a Nazi war plane. The replies to this tweet are diverse with some reasonable sounding but unverified claims. At this stage, I think the inference that the situations are comparable is weak. One line of argument I’d be willing to accept is that Jackson will enjoy the privilege of a disinterested media and largely disinterested public. That is, its unlikely that media outlets will make the same kinds of inquiries of Jackson as they did of Dotcom. A relevant point here is that Dotcom has just started a political party and because of his potential proximity to political power greater scrutiny of his actions are required. There are also some clear distinctions between Dotcom’s situation being a story and Jackson’s being a non-story and I am not convinced its related to the favourable light in which Jackson is cast compared to Dotcom. 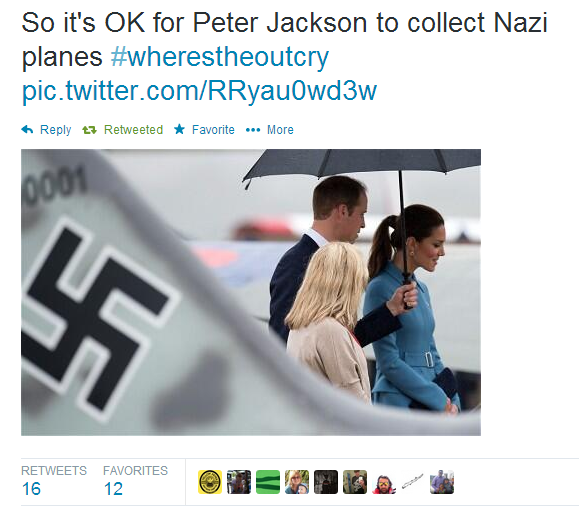 While Jackson (allegedly) owns a Nazi war plane, as a film producer it could simply be a prop. Alternatively, if its not, it could be one plane among many planes he has collected. We know from recent news that he owns at least one other plane that has been sent to Western Australia to help in the MH370 search. My provisional view is that I don’t think the information we have about Jackson warrants the same kind of outcry that Dotcom received. I need not repeat the disputed and undisputed claims about Dotcom, as they have been extensively published. What I will reiterate, is that it is disingenuous to ignore all the relevant factors in the Dotcom case by isolating the signed copy of Mein Kampf as the only notable aspect. To clarify, this isn’t intended as a defence of Jackson, but for all the reasons one might not like him, or might think the media were too hard on Dotcom, the situations are not, in my view, comparable. There are contextual elements some of which intensify the claims against Dotcom and distinguish the circumstances, although I’m open to hear what others might think, i.e. 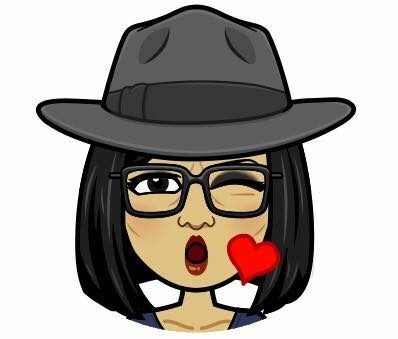 are there features that are comparable that I haven’t raised? Or, Dotcom and Jackson are a lot more alike than we have thought? Peter Jackson has extensive interests in a fleet of World War One era aircraft that regularly fly at air shows. Most of the aeroplanes are working replicas and include British fighters such as the Sopwith Camel. There seems to be no criticism of Jackson for his ‘support of British Colonialism’ through his interest in British aviation. Perhaps his involvement with these machines is based more on a fascination with how well they fly, and the skill of the pilots who flew them, rather than the politics of why they were used. I think it’s drawing a very long bow to compare Jackson with Dotcom.